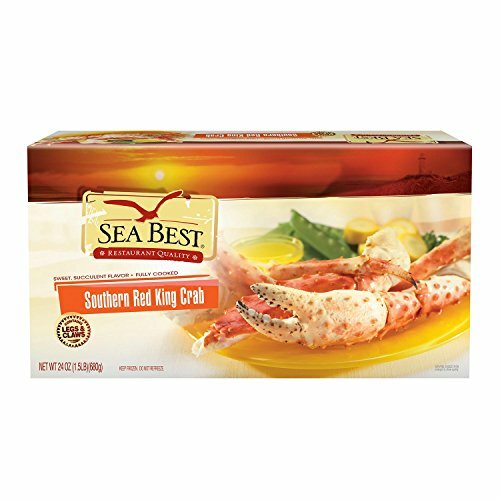 Buy King Crab legs online and enjoy this phenomenal delicacy in the comfort of your home. Please browse the King Crab legs for sale and place your order with confidence. 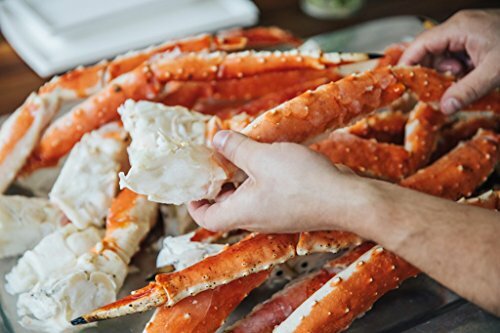 Clicking the buttons below will open a new window on the seller's site with the full description of the King Crab legs for sale. Alaska King Crab is unmatched in flavor, texture, and Colossal size: ¾ - 1lb per leg. Highest quality from our fishing boats in Bristol Bay. The most sought-after of the three Alaskan Crab species and popular with people who love seafood. Perfect for your next dinner party, family dinner, or meal with friends. King crabs are extremely versatile. Since they come pre-cooked, they're ready to eat as is, or can be prepared in a variety of different ways. 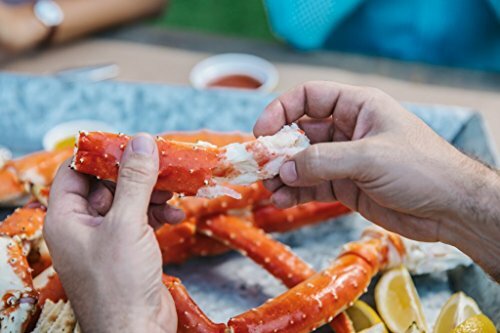 When you order the largest and most impressive of all crabs caught in the world, Alaska King Crab, you'll taste the unmatched flavor, quality, and texture. It's the most sought-after of the three Alaskan Crab species and popular with people who love seafood. Perfect for your next dinner party, family dinner, or meal with friends. 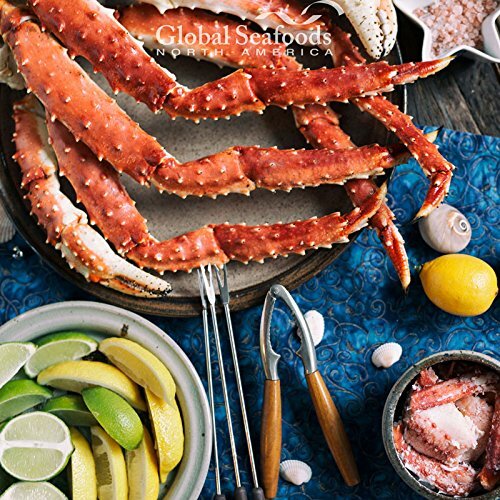 Your order may contain both Alaskan King Crab claws and legs which make for delicious appetizers or a stunning entrée that everyone will enjoy. Did we mention King Crab meat is naturally lean, low in calories and bursting with one of a kind flavor? Give your guests something to talk about. Order now and get free shipping! All of our orders ship overnight, so you can enjoy your seafood product the very next day. The cutoff for next-day orders is 3pm EST. We only ship Monday through Thursday, so if you have an event over the weekend or on a Monday, make sure to plan accordingly! Specifications: Size:1/2 lb to 3/4 lb per leg, Giant Location: Alaska Cook Type: Boil, Grill, Saute, Steam Cooking Instructions: King crabs are extremely versatile. Since they come pre-cooked, they're ready to eat as is, or can be prepared in a variety of different ways. To warm, just steam, sauté, broil, grill or roast for 4 minutes to heat through. Serve with drawn butter or dipping sauces. When you order the largest and most impressive of all crabs caught in the world, Alaska King Crab, you'll taste the unmatched flavor, quality, and texture. It's the most sought-after of the three Alaskan Crab species and popular with people who love seafood. Perfect for your next dinner party, family dinner, or meal with friends. Your order may contain both Alaskan King Crab claws and legs which make for delicious appetizers or a stunning entrée that everyone will enjoy. Did we mention King Crab meat is naturally lean, low in calories and bursting with one of a kind flavor? Give your guests something to talk about. Order now and get free shipping! All of our orders ship overnight, so you can enjoy your seafood product the very next day. The cutoff for next-day orders is 3pm EST. We only ship Monday through Thursday, so if you have an event over the weekend or on a Monday, make sure to plan accordingly! Specifications: Size:3/4 lb to 1 lb per leg, Colossal Location: Alaska Cook Type: Boil, Grill, Saute, Steam Cooking Instructions: King crabs are extremely versatile. Since they come pre-cooked, they're ready to eat as is, or can be prepared in a variety of different ways. To warm, just steam, sauté, broil, grill or roast for 4 minutes to heat through. Serve with drawn butter or dipping sauces.